Three years seemed a remote possibility, five at the outside. The idea was to map an arc of innovative literature during those first dark years of the eighties. But then, as if by benign fission, the project only grew, the result of its contributors’ combined energies. 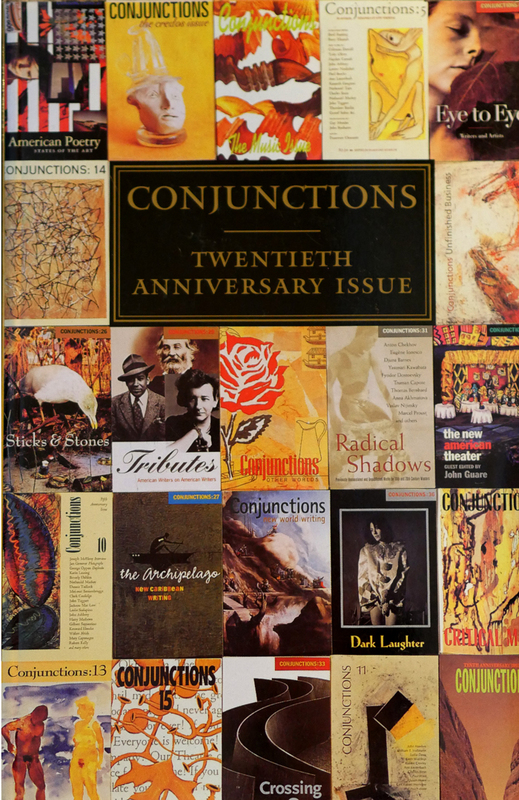 Now Conjunctions celebrates its twentieth year of publication. Through over ten thousand pages of work, ours has been the site of many visions—some coincident, some wildly dissimilar, but always funded by a serious devotion to idea and form in language. As a poet once put it: Onword.